Delcor doesn't settle. Neither should you! Delcor's #1 choice in HVAC Systems is Trane, America's most reliable heating and air conditioning systems. Is your air conditioner not working properly? Delcor is available 365 days a year, 7 days a week and 24 hours a day! — contact us at 252-321-8868!. Delcor wants to know about your home heating and cooling needs. We will recommend and install the right system for your home. Whether you have a Trane or not, it may be time to service your HVAC system? Delcor is a Trane Comfort Specialist, and always here to help. Need help knowing whether to repair or replace your HVAC system? Delcor can help put you in a new Trane or repair your existing system. 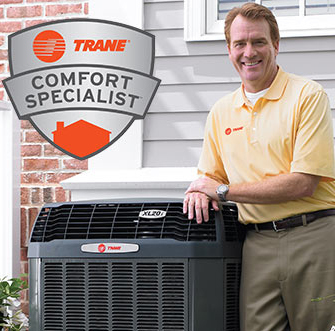 The Delcor Team is Trane Comfort Specialists, and we are standing by for all your heating & air conditioning needs. 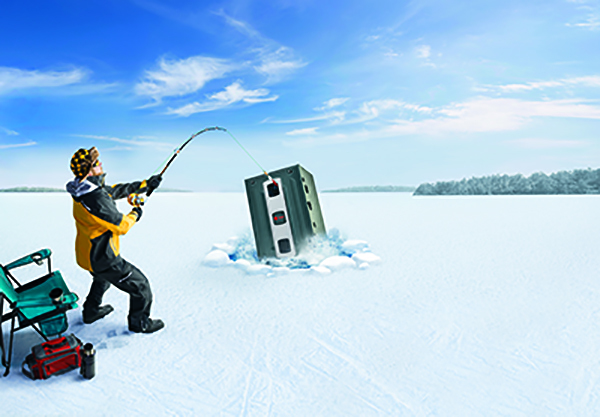 Every Trane is tested to withstand the harshest conditions nature or our engineers can throw at it – like freezing conditions in their System Extreme Environmental Test (SEET) lab or five-inches of water an hour in their Climate Chamber. That’s how they get heating and cooling systems you can count on to run through anything. And when it’s time for a tune-up or replacement, Delcor, a certified Trane Comfort Specialists™ is always at your service right when you need them. It’s that kind of reliability that’s earned Trane the position of America’s Most Trusted HVAC System*. Trane will test it harder. Why do we love them? 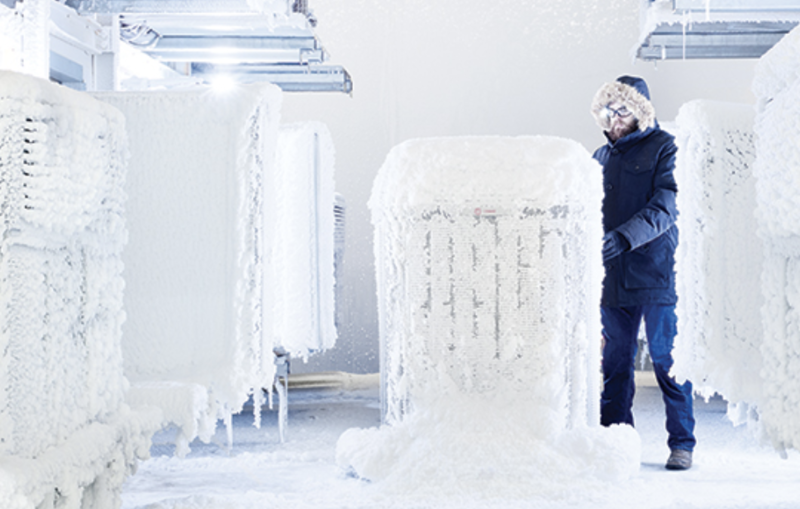 Every Trane system is tested in some of the most extreme conditions, even by Polar Bears, found in nature to ensure they’re truly unstoppable – like freezing conditions in our System Extreme Environmental Test (SEET) lab. That’s where Trane engineers put units through five years of wear and tear in just a few months, to get a product you can count on to run through anything. Trane, and Delcor for that matter, never settle, and they never stop. Looking to cut down your energy bills? Delcor can install a Trane heating and cooling system, which will help you do just that. When properly selected, Trane systems give you improved comfort at lower operating costs. Check for the ENERGY STAR logo to identify the most efficient heating and cooling products. Trane’s air conditioners have a SEER (Seasonal Energy Efficiency Ratio) ranging from 13-22. 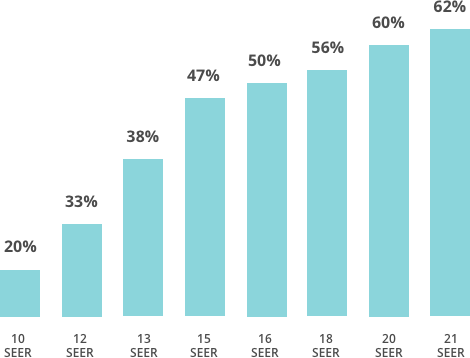 The higher the efficiency rating, the more energy you save – just like buying a car with better miles per gallon. Get personal help from a Delcor Trane Comfort Specialist. We are voluntarily recalling select furnace models. Click here to learn more about the models included in this recall. ©2018 Delcor Inc. 1905 Turnbury Drive, Greenville NC 27858. Powered by Viamark – Greenville.